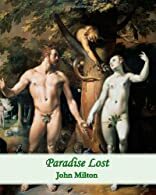 Paradise Lost, an epic poem in blank verse, written by the 17th-century poet John Milton as he became blind at the end of his life, is a retelling of the Biblical story of the Fall of Man. While based on the Christian tale, the poem incorporates many topics, and spends most of its verses detailing the journey of Satan and his war on the angels. The depiction of Adam and Eve draws an elaborate panorama of their trials. This classic of Western literature is wide-reaching and enormously influential, and should not be absent from the modern reader's bookshelf.